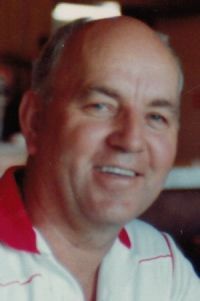 Richard G. Gosser, 84, of Lebanon passed away on Sunday, July 10, 2016, at the Samaritan Lebanon Community Hospital. Richard was born May 24, 1932 in Salem the son of Phillip and Ruth (Smalley) Gosser. As a child, his family moved to Sweet Home where he attended school. He married Lela Ann Graves in Sweet Home on July 28, 1951. He lived in the Sweet Home area for many years while he worked as a logger in the woods. He then drove long haul truck for several years. His last job was at Golf Club of Oregon where he worked as a maintenance superintendent for several years. Richard loved his time with his children and grandchildren. He enjoyed watching Seattle Mariner baseball and professional golf on the television and working in his yard. He is survived by his wife of nearly 65 years, Lela of Lebanon; sons Rick of Lebanon and Tim and wife Kim Gosser of Yakima, Washington; daughter Shari and husband Shaun McIntosh of Lebanon; brothers Melvin and wife Nina Gosser of Eugene and Jim and wife Gwen Gosser of Albany; sister Patricia and husband Vern Rich of Battleground, Washington; eight grandchildren and three great-grandchildren. He was preceded in death by his parents; an infant daughter Rebecca Jean; and brothers, Robert, Dwight and Daryl. A memorial service will be held at 2 p.m. Saturday, July 16, 2016, at the Huston-Jost Funeral Home. A private family burial will be in Liberty Cemetery near Sweet Home.